NORTHERN BURMA - The going was slower this week in the disadvantageous terrain of the Mogaung Valley. But Lt. Gen. Joseph W. Stilwell's 22nd and 38th Chinese Divisions continued to hammer their way southward along both sides of the main road, while Merrill's Marauders clamped a firm hold upon Nphum in the Kumon Mountain Range 30 miles to the east that dimmed Jap hopes of knifing behind the Chinese bulling their way down the center of the bitterly-contested valley. The southernmost milestone in the Chinese advance along an elastic 75-mile Allied front was the stoutly-resisting knot of opposition at Warazup along the Nam Kawng River. A short distance to the northeast, Tingring and Tingring Village along the Numna River were occupied by the 38th Division following an abortive Nip counter-attack. Fighting is now in progress for Warazup which is expected to fall shortly. Heavy casualties were inflicted as the Marauders (who, this week, re-named themselves the "Burma Raiders") drove the Japs from the Nhpum-Hsamshingyang area. Part of the recent battlefield was inspected and 210 enemy dead were counted. This swelled the total enemy killed by Chinese-American forces since the start of the Hukawng-Mogaung campaign to 5,500. The Yanks have now gained advanced positions and continue active patrolling south of Nphum. Earlier in the week, the Chinese driving against the enemy's right flank in the heart of the valley took Hpaduyang and Mungdu Gahtawng along the Hpadu River on successive days and moved a mile south of these positions. Farther to the west, elements of the 22nd Division ambushed a party of Japanese attempting to escape from the recently-won Wakawng area, along the Nam Kawng River. After allowing wounded to pass their position, Maj. Gen. Liao Yao-hsiang's force opened fire on the able-bodied following and reported having killed 80. Meanwhile, south and north of the Numna River in the Tingring sector, more Japs died for their Emperor. In the north, Chinese attacked enemy positions and killed 47 members of the 18th Division. Later, south of the village, Maj. Gen. Sun Li-Jen's 38th surprised an enemy party, killing three and capturing 24 packs. Elsewhere, there was other successful Allied activity. South of Taro, Chinese units drove the enemy out of Pumsin, Gora Gahtawng and Mansum. Jap positions described as "strong" south of Pumsin yielded a large quantity of equipment as well as the discovery of 13 dead bodies. Nor was the enemy given rest by the British commanded Kachin Levies and Ghurkas along the Sumprabum-Myitkyina Road, where frontal attacks and ambushes cut deeper into Jap strength, upwards of 70 casualties being reported during the week. Woihtup, west of the road, was taken, lost and retaken, and the Japanese suffered severe losses, while there were savage engagements continuing at Kamanjawng and Tinagzup. Delayed dispatches told of the fierce fighting for Wakawng, whose taking was reported last week. The terrain was admirably suited for defense. Criss-crossed by four rivers in less than three miles and covered by brown, sere elephant grass easy to set afire, the nature of the country made it impossible for successful use of tanks. After two cautious tank probes, it was left for the infantry to edge forward, yard by yard, wiping out one enemy strong point after another. The enemy lost at least 100 dead. SHE TALKED US INTO IT ??? "This," the dulcet voice tenderly caressed our ear, "is Paulette Goddard." "And what, sweet lady, can we do for you?" 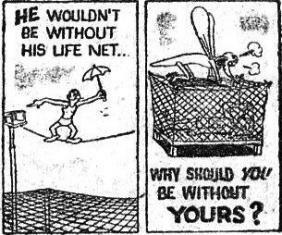 "It's not what you can do for me, but what I can do for you," replied La Goddard . . . and the velvet voice over our phone was rich with promise. "Oh, goody, you can't," we murmered shyly, "have brought us the latest copy of Popular Mechanics?" "Silly boy, of course not. I am offering you something more valuable." "Yes, cheesecake pictures for the Roundup, as many as you want." Interest mounted. "It was wonderful of you to bring them all the way out to the CBI Theater from Shangri La," we declared warmly. "When will it be convenient for us toi call for them?" "By all means do come over immediately," she implored. Adding: "And bring your photographer, too; that cute one you sen to the airport when I arrived. I'll model for the pictures." That blur you saw heading toward a certain hotel in New Delhi was one each reporter and one each photographer. Superman couldn't have made it any faster. And so today we give you the lovely feminine form of La Goddard on page one, as captured on the roof of a New Delhi hotel in the lens of Eddie Jankowski, New York's puckish gift to the Army Signal Corps. The Goddard gal, who left for flickerland Monday, made the offer in response to requests from G.I. 's in the field. During her whirlwind trip of the Theater, she just didn't have time to primp up properly for camera nuts in khaki. It was a rugged trip for the first actress to entertain troops here "at the end of the line." Throughout the length and breadth of Old Cathay, as far up the tortuous Ledo Road as Maingkwan, in the Hukawng Valley, at obscure bases in Assam, everywhere a plane could land near CBI bases, La Goddard appeared with he teammates, Bill Gargan, Keenan Wynn and Andy Arcari. Finally, at a heavy bomber base in Eastern India, a flight surgeon put his foot down. "You're grounded," he ordered. The young ladt had developed a bad case of "flight fatigue." Maj. Paul Zimmerman, who chaperoned the party, reported that the troupe gave 52 shows in 41 days to more than 73,000 persons. Yet Paulette enjoyed every minute of her tour, paid high tribute to CBI-landers dedicated to the war against the Jap. La Goddard was most impressed by the combat plane crews in China and Merrill's Marauders. When she arrived at Maingkwan, she asked Lt. Gen. Joseph W. Stilwell if she could move farther toward the front. "Young lady," he declared firmly, "you've gone far enough." Fighting was in progress only a few miles ahead, and the throaty bass of artillery could be heard disticntly. "The only members of the Marauders I saw were several in a hospital and they were there only under protest," she disclosed. "They were demanding vociferously when could they return to their outfits. It put a lump in my throat." Two planes are now carrying Paulette's name over enemy territory, a trim P-40 in China and a powerful B-24 in Assam. The silver Liberator of the Eager Beaver Squadron was christened and presented to the film lovely during a visit to the base. Painted on one side of the bomber is a life-sized, half-reclining portrait in which her curves are simply set off by the briefest shorts and a sweater that - well, you know how sweater can be. The painting was done by S/Sgt. Earl Freeman, former Walt Disney artist, who did a masterful hurry-up job from memory. She rewarded Freeman with a kiss, while camera maniacs focused the lens, then swung a bottle of Carew's in a VO bottle against the nose of the ship as 400 Eager Beavers set up a cheer. She turned, "Paulette" over to its crew, which comprise one of the oldest flying units in the squadron, all officers and EM members of the 400-Hour Club. When she returns to Shangri La, the film lovely promises to be an ambassador for the Theater. "I'd love to return," she said, but emphasized "However, it would have to be a different type of tour. What I'd like to do is remain in every base for two of three days and hobnob with the fellows, rather than rush into camp, put on a show and then grab a plane before getting much of a chance to visit." The Goddard gal had a couple of breathers during her trip, one memorable one in Assam when she helped "buzz" a small herd of elephants in an L-5. With a twinkle in her eye, she admitted that perhaps it wasn;t quite the proper thing to do, but fun, though. Another time the party braved an electrical storm that shook their plane like a terrier shakes an old shoe. One observation she made was that the G.I. 's missed most of all, the American girl, "All of them told me that," she confided. "They carry an image of the girl back home in their hearts. Why, I have hundreds of phone calls to make for them when I return. It may take a long time to finish the list, but it's going to be completed, no matter how long it takes me." Admiral Lord Louis Mountbatten's South-East Asia Command Headquarters this week departed the musty halls of the New Delhi Secretariat and breathed the cool, sweet air of Ceylon. In moving from the heart of India to the pear-shaped island at its southernmost tip, the SEAC made a change that transferred it from its training and supply base to its operational headquarters. It was pointed out that Ceylon significantly contains the main naval bases in South-East Asia, which brings the Supremo into closer touch with the C-in-C, Eastern Fleet. The majority of Lord Louis' staff bundled itself into a special train which huffed and puffed hither and yon over the Indian landscape, eventually arriving at the Adamis Bridge Ferry linking Ceylon with India. After the main party had been established in Kandy, key personnel which had kept the machinery in order at the Secretariat joined the new headquarters by air. And now, according to a SEAC communique, the wearers of the phoenix-rising-from-the-ashes insignia are roughing it in a temorary camp. "It is doubtful," reports the Associated Press of India, "whether the new headquarters took as many weeks to build as the old one did years. UPPER BURMA - Sustained by British-American airpower, imaginative leadership and just plain guts, Britain'e long-range penetration troops have a stranglehold on Jap communications to upper Burma, which may never be broken. Almost within earshot across the green, tangled hills from this air base, which is now the principal bridgehead for this airborne penetration, Gurkha-West African machine gun and mortar teams last night repulsed Japanese attempts to storm position commanding the Mandalay-Myitkyina Railway and the Irrawaddy River. As long as this supporting base or others like it can be held, this deep blocking harassment of the enemy will continue. The Japs know this. That's why this base is such a hot spot, with Jap airmen taking a crack at it every chance they get. That's why the small group of Americans, a small light plane squadron, and a West African Defense Force have dug in like moles along the commanding hills. That's why young American Lt. Col. C. B. Gaty, of La Jolla, Calif., one of Col. Philip Cochran's right hand men, ironically named it "Peaceful Valley." After this correspondent arrived last night he witnessed samples of the sort of nerve being invested in this operation. Our own C-47 had discharged its human cargo consisting of West African Infantrymen, two light plane mechanics, S/Sgt. Jack Tyler, of Texas, and Capt. Leon S. Dure, observer from Richmond, Va., and one slightly eager correspondent when, one half hour later, another transport entered the traffic pattern over "Peaceful Valley." It turned on its navigation lights for the landing. Suddenly sputtering flashes appeared in the sky. But it was the flash of a .50 caliber machine gun. Over the radio came the voice of the pilot: "I'm being fired upon." A Jap night fighter took two passes at the plane. The fighter had come in with its own navigation lights on, one of the favorite deceptive tricks of the Jap in night flights over Allied positions. "I've been hit. Clear the airstrip. I'm coming in," came the voice over the radio. The plane still had one wingtip lit. With it we were able to follow the course of the transport. The plane slanted into the valley. We strained our ears for the crash. None came. The red light leveled off as the plane banked and started fish-tailing up the valley towards the strip. The pilot ground-looped intentioanlly into a wall amidst a great cloud of dust and the plane came to a halt. West African Infantrymen tumbled out, carrying a comrade who had been shot in the back - the only casualty, thanks to the RAF pilot's skillful landing. The housing, both motors, the tail assembly and the fuselage were full of holes. This was the first night attack by the Japanese on air transport of this expedition. Hours later, c C-47 of the First Air Commando Group's Transport section, arrived with an engine for one of its planes grounded here after motor failure over Burma. In a four-hour race with dawn, six crew chiefs, who brought tools and such equipment as their own lighting system, installed the new engine, repaired the plane and took off back to an India base. This was a remarkable achievement. Under normal circumstances at safer fields, such a motor change takes a whole day or even days. Head of the transport section, Maj. William T. Cherry, Jr., of Quail, Tex., who was piloting Capt. Eddie Rickenbacker when he was lost in the Pacific, brought in the mechanics and personally supervised the work. I was awakened at the crack of dawn today by a Japanese nuisance attack on the field. I tumbled out of the tricky jungle hammock and joined G.I. pilots of American light planes log, earth-covered foxholes. Only two bombs were dropped, but that was only the beginning of an intermittent gopher existence the whole day. Up here you get inderground at the sound of every airplane - friend or foe. IMPHAL - "We're on top now. Let's see that we stay that way." Thus spoke Lord Louis Mountbatten, Supreme Southeast Asia Commander, as he visited besieged Imphal before departing for his new headquarters in Ceylon. The SEAC commander inspected troop installations and gave several informal, off-the-record talks to the troops who are fighting the Jap invaders in Manipur. According to the British, he gave the men a frank appraisal of the situation and pulled no punches. Lord Louis also visited the 17th Indian Division, which, cut off at Tiddim, fought its way through strong Jap road blocks to join the Imphal garrison, with most of its vehicles intact. Mountbatten congratulated the division on its feat. Confidence mounted this week that the Japs have shot their bolt, and, as the New York Times pointed out last week, may soon to be a position where they will turn out to be only sacrifice troops, sent by the Nips to acquire some quick prestige. British troops generally took the offensive in clearing the invaders off the Kohima-Dimapur Road, as well as pushing out towards enemy-held Tiddim. Communiques told of an attempted Jap encircling movement around the Imphal plain, with strong British attacks capturing several hill positions northeast and southwest of Imphal. 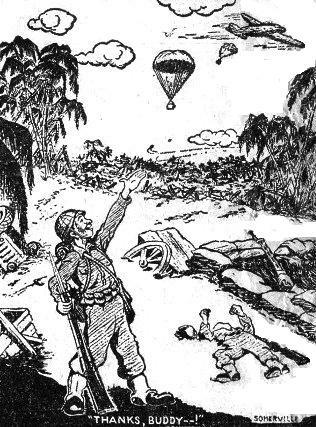 The glider-borne Anglo-American Chindits, under their new commander, Maj. Gen. W. D. C. Lentaigne, continued to hack away at Jap supply bases along the Chindwin River, further embarrassing the invading Nips, who were said to be facing a shortage of food and ammunition. The Chindits also are operating only 60 miles north of Mandalay, at Shwebo, where bomber attacks supported their position. Chindit troops were last reported about 180 miles north of Mandalay, in the Katha-Mawlu sector, on the railroad to Myitkyina. Army News Service wrote of a statement by U.S. Secretary of War Stimson in which he said the Allies, with aerial and meaterial superiority, would hold the strong points and drive the invaders from their hardly-won positions. A dispatch from the London Times forwarded by Reuters, called for a quick expulsion of the Japs from India. 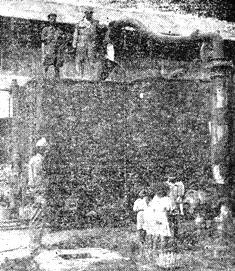 The Times pointed out that the Manipur invasion has imposed an additional burden on the U.S. Army Transport Command, which, according to the Times, is also supplying "Chinese needs, those of the Wngate forces, and is supplying our forces on the Kaladan and in the central sector, as well as Gen. Stilwell's troops in the north." Patrolling continued along the Arakan and Kaladan fronts, with the British still clearing out Japs from the vicinity of the two Allied-held tunnels along the Buthidaung-Maungdaw Road in the Arakan. 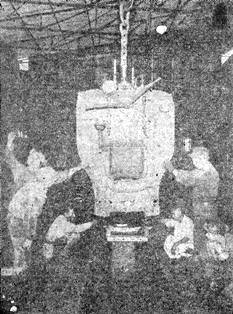 Just after midnight, March 1, a U.S. soldier took over the controls of an engine along the Bengal and Assam Railway. Operation of the line had officially passed into U.S. Army hands. Vital supply link for the Ledo Road and Lt. Gen. Joseph W. Stilwell's Chinese-American forces in Northern Burma, the meter gauge line branching off the broad gauge line out of Calcutta, and running into upper Assam, was not constructed for a tremendous volume of war-time traffic. 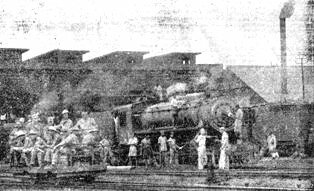 Built rather, to serve the tea plantations of Assam, it received an emergency call to carry a major part of the load of vital war materials moving toward the front. Thus, necessity for military operation of the line became apparent some time ago, and the call was sent for American Railway Operating Battalions. Brig. Gen. Thomas B. Wilson, aggressive, heavy-set former chairman of the board of TWA, arrived to supervise the setting up of the Military Railway Service. Wilson put Col. J. A. Appleton, former Pennsylvania Railroad executive, in charge of the new service and preparations were made for taking over the operation of the line. The G.I. 's who run the trains are operating a railroad close to enemy lines. It's a ticklish situation at the moment, but the boys are prepared for any emergency and, meanwhile, the supplies are going through and the trains are running faster and closer to schedule than ever before. 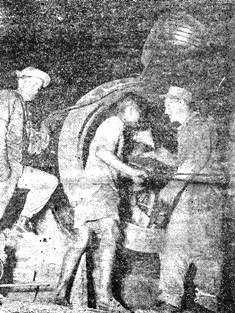 American soldiers operate a freight train as it serpentines its way through the jungles of Assam, transporting supplies to Chinese-American combat troops, Engineers pushing the Ledo Road toward China, and advance air bases. A locomotive enters a freight yard with G.I. 's and Assamese helpers hitching rides on the flatcars. The two groups work side by side in handling all phases of work upon the new project which is speeding supplies frontward. 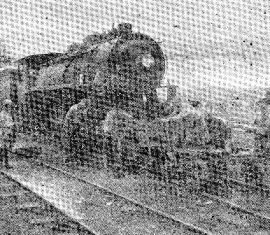 T/4 Charles Roth greases a locomotive in a railway yard, with the ever-present, inevitable cow in the foreground. 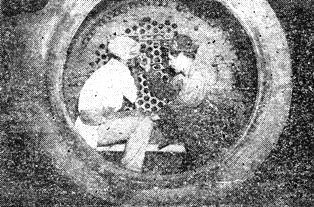 T/5 Harold Belanger, assisted by his Indian helper, straightens a front flue on a locomotive boiler. Full steam ahead. Pvt. Nelson O'Brien stokes the fire, while Pvt. Dominic De Jermoime handles the controls in the locomotive cab. 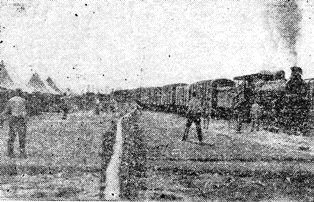 The Yank train workers introduce baseball to the area, setting up a diamond near their tents along the railroad. A wheel change detail on a freight car is completed by S/Sgt. 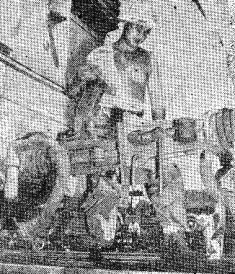 John Bicanic, left, operating jack, and Pvt. Nick San Filippo. 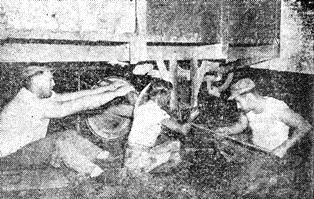 Operating the crane loading coal into the tender is T/4 Rocco Parella, while the engineer in the cab of the train is Pfc. Red Keyon. The train crews and helpers maintain a fast pace. Repair work is done on a locomotive pilot or "cowcatcher." Col. A. J. Appelton is in charge of the railroad. Cpl. John Bassalio adjusts driving rods to the driving wheels of a locomotive. Most of the G.I. 's are former railway workers. Pvt. Preston Bupp and T/5 Louis Pysklo fill a tender tank with water at the roundhouse. A rail motor car rolls a G.I. construction crew to work. A general view of locomotives, engine shed and workshops can be seen in the background. Trains are running closer to schedule than ever before. Pvt. Michael Masone couples two freight trains together as a train prepares to move. Pvt. 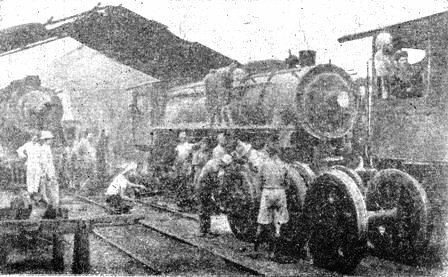 Frank Yakaites supervises an Indian's work of cleaning one of the locomotives boilers. ASSAM - Another glorious page was written into CBI history today with official announcement of the distinguished part played by USAAF units of the Northern Air Sector Force, part of the EAC's Tactical Air Force, in support of Lt. Gen. Joseph W. Stilwell's Chinese-American forces in the Hukawng Valley campaign. News of the activities of this unit, commanded by Brig. Gen. John F. Egan, of Hempstead, L.I., had not been disclosed earlier for reasons of security. But now it can be told how the fighters and bombers led by a pair of cool, experienced Texans, Cols. 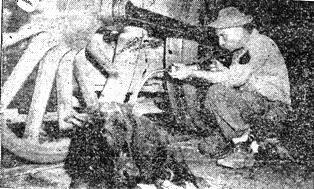 Ivan W. McElroy, of Austin, and Charles Chandler, of San Antonio, have been giving the Jap what one of their pilots recently described as "an object lesson in how the fliers of a decadent democracy can seek out and blast his fuel, food, and ammunition stores, his camp concentrations, and his headquarters buildings, his bridges and his roads." Operating from bases in Assam and forward fields in Burma over the steaming jungles these pilots have been making a tough job appear easy by bee-lining to cammouflaged targets in the jungles with accuracy bordering on the amazing. Once located, these isolated positions in the matted jungle have been struck with pin-point accuracy. The now famed "B-40" (P-40's carrying 1,000-pound bombs) initiated a technique which has kept the Jap forces at the discouraging task of building bridges, only to have them blown up. On more than one occasion, these mighty mites of the air have demolished their target with only one bomb. Of course, the hunting is not always so good. Sometimes the boys miss. For occasions like these, some wag coined the following ditty: "We bomb the bridges day by day - we may not hit them but we make them sway." In this unceasing task of harassing and destroying the Jap and his lines of communication in Central and Northern Burma, the "B-40" has been joined by the now-proven Mustang (P-51) and Invader (A-36). As the Chinese, supplemented by Merrill's Marauders, penetrated into the Hukawng Valley, it became the job of the Invader, Mustang and P-40 to clear a path for the Queen of Battles. "Blast and advance" was the formula for the air support of Stilwell's forces. This formula worked out to such a high degree of success that messages of praise from Stilwell in the forward lines began to reach the units concerned. As the support mounted, more of these messages came in from Stilwell's forward headquarters, one of them particularly characteristic, "Damn fine job of artillery blasting," declared this one, after fighter-bombers had searched out and destroyed an enemy artillery position. Another phase of the air action that helped to make the ground situation so successful was the supplying of ground troops by air. Ton after ton of vital supplies needed were dropped by USAAF transport of the Allied Troop Carrier Command, under Brig. Gen. William D. Old. As the tranports swooped down, 'chute after 'chute blossomed out behind them, carrying food, ammunition, clothing and guns. Still another phase of the action helped from the air was the speedy removal of the wounded. By this method, a man injured in the morning would be resting comfortably and having his wounds attended to in an honest-to-goodness hospital by mid-afternoon. The success of the ground forces supported by the fighters and fighter-bombers was well illustrated by a message sent to the Northern Air Sector Force by Stilwell upon the taking of Walawbum: "My thanks for a superb and accurate support mission at Walawbum. You rang the bell with every bomb with terrific results." With more than 5,000 sorties during the month of March, with pilots oriented and trained to know every inch of the jungle-covered country, with every man plugging to do a job, it ceases to be any wonder why the Air Force in Burma makes every trip a pay load. MOGAUNG VALLEY - Delayed reports again emphasized the resourcefulness and courage of Merrill's Marauders against the Japs in the Northern Burma campaign. From the rugged, jungle-tangled range in the eastern Mogaung Valley have come the first stories of the rescue of a "lost unit" of the Yank infantry which has been spreading havoc behind Jap lines. Pack artillery was dramatically parachuted to combat the enemy's infantry and to clear trails ahead of a relief group of combat-wise Marauders, who successively overwhelmed strongpoint after strongpoint during the advance towards their surrounded comrades. The decisive battle of the resuing forces was fought just north of Nhpum Village, roughly 15 airline miles northeast of kamaing. In two days alone, the succoring force, moving along with air-dropped supplies and supported by strafing and bombing attacks, killed at least 300 Japs. 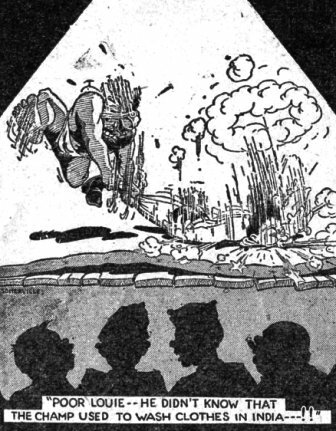 Several enemy bodies were found in trees, where they had been piched grotesquesly by the force of 500-pound bombs. In order to cut the main Mogaung Valley road at Inkanghtawng, the force which was later trapped made 58 river crossings in eight miles to reach its objective. Pinned down by two batteries of Jap mortars, they held off 16 enemy charges at their perimeter and killed 300 of the attackers while losing only two killed and suffering 10 wounded. A call from Brig. Gen. Frank Merrill went to Maj. Ed Hancock for the artillery for the rescue force. Merrill's crack supply officer asked for volunteers with pack artillery experience and, within 20 minutes, more than enough appeared from the muleskinner ranks, many of them veterans of the SW Pacific. S/Sgt. John Acker, of Bessemer, Ala., headed the unit, and his section chiefs were Sgt. George Lowe, of Noma, Tenn., and Pvt. Thomas Averitt, of Richmond, Calif. One of the gunners was Pvt. Isaac W. (Little Chief) Ross, of Cherokee, N.C., full-blooded Cherokee Indian. Two hours after the guns were 'chuted, Ackers' gang had them assembled and firing at point-blank range at the enemy. While the Americans were advancing to aid their besieged comrades, Chinese infantry covered the jungle trail to their rear, thus joining with Yanks in blocking any Jap attempt to outflank the main Stilwell forces in the Mogaung Valley by northward penetration through the mountains. Fighting near Nhpum brought recommendation for an award to T/Sgt. Linwood Clemens, 28, of Lewistone, Me., veteran of New Georgia fighting. Against Jap snipers and pillbox firing, he worked his platoon up a steep hillside and drove a wedge into the enemy lines which enabled the rest of the force to advance. Two Ohio lads, Pfc. Harold C. Dibble, of Cincinnati, and Paul R. Bickneel, of Norwood, were credited with saving a wounded buddy after another of their squad was killed by a sniper trying to effect rescue. When Dibble and Bickneel started crawling forward, the sniper again opened fire. But an American light machine gunner saw a rustle in a bamboo clump and gave it a burst, drawing the sniper's fire away from the rescue twosome. Reconnoitering a small stream, scouts suddenly came upon an elephant with a Jap on its back and three more behind. Sgt. George Fike, of Corpus Christi, Tex., knocked the rider off with a tommy gun burst, while other men in Fike's section killed two of the three Japs trailing the pachyderm. Troop Carrier Command C-47's swooped so low they repeatedly drew enemy small arms fire when they 'chuted the artillery. Other cargo ships delivered needed supplies to the rescue mission, which were transported by pack mule to forward positions from the dropping fields. CHINA - The G.I. 's at a post here named their Red Cross Club "The Last Resort." Naturally, the closest they came to American girls en masse was in a magazine. So when opportunity knocked, it found an open door to the romantic pulse beats of the khakiclads. The opportunity came in the form of a copy of Scam, paper of Smith College, well-known eastern school for girls. The paper was sent to an American worker, Robert Schnitzer, who had formerly taught at Smith. The paper ran a story about the forming of a club called "The Last Resort." It told of the vain attempts to find dates for girls due to the manpower shortage. So the G.I. 's of "The Last Resort" in China wrote to the girls of "The Last Resort" in Shangri-La. They asked for sponsorship of their club by the coeds. Another copy of the paper arrived, telling of the adoption by the girls, with plans for exchanges of photographs and supplying of a correspondence list for "hostesses in absentia." As one G.I. put it, "College only lasts four years. I got to get back there before they're all graduated. Just imagine all those luscious gals waiting." NORTHERN BURMA - With Brig. Gen. Frank Merrill's American volunteers there is a conscientious objector who is known by every Marauder and is respected for his courage. He's Cpl. Daniel Hardinger, of Hicksville, O., who will "do anything and go anyplace" provided it doesn't necessitate his shooting Japs. Medical Capt. James Hopkins, of Baltimore, Md., whose uncle was the late Johns Hopkins, described Hardinger as the "bravest man I've ever seen." Hopkins won the Silver Star for gallantry in the New Georgia campaign. There, Hardinger worked with him, treating the wounded. Last week when the platoon to which Hardinger is attached needed ammunition, he volunteered to replenish the supply. Within a few minutes he returned loaded down with priceless Browning automatic rifle and tommy gun ammunition. He crawled the last 50 yards under enemy fire. Hardinger is easy to distinguish because he's one of the few members of Merrill's oufit who doesn't carry a gun. He also insists on being "the point for his platoon" not because he likes the excitement, but instead argues that he should be as "far forward as possible where he can reach the wounded as soon as possible." ALONG THE LEDO ROAD - Pfc. Dan Novak was desperate. The C.O. of his photographic unit wanted pictures of Lord Louis Mountbatten, SEAC Generalissimo, who recently visited Assam. For two days, Dan had striven mightily to get those shots, but alas and alack, whenever the admiral was free, it rained. Undaunted, Dan went along when Brig. Gen. Lewis A. Pick conducted his distinguished British guest on a ride up the Ledo Road that Pick's hairy-eared Engineers are constructing. Crossing the Pangsau Pass into Burma, the party stopped. The sun shone brilliantly. The gods were indeed smiling for the G.I. photographer. "How about some pictures?" demanded Dan, snapping into action, "That's what I'm here for." Oblivious of rank and exhalted station, he began pushing his camera subjects around like a belligerent puppeteer. "Stand over there!" he ordered, herding Lord Louis into a good position. He grabbed Pick's arm. "Now you make like you're showing him something down below." Dan leaped forward to squint through his lens, dashed back to Mountbatten's side. "You won't like this," he admitted, pushing the famous chin to one side. "Gotta get that profile." Back to the camera again. "You don't have to be crazy to be a photographer," he explained affably to Lord Louis, "but it helps." Then something snapped. For the first time he realized to whom he was speaking. "Guess you thin I'm a damned fool," he muttered with some embarrassment. He took a step backward, and then - you guessed it - landed flat on his face in the rich mud of Burma, while the entire party broke into resounding belly laughs. P.S. But he got the picture! UPPER ASSAM BASE - While paying off at an isolated post here, the Finance Officer's attention was brought to a scene going on in the sky, where a man could be seen bailing out. The excitement over, the officer continued the sacred ritual. Shortly afterwards, in walked the man who had hit the silk. "Cpl. Wiggin, Alan B., sir," panted the soldier. "What was wrong that you had to bail out of the plane, Wiggin?" asked the paymaster. I din't stop to find out, sir. I just heard that Finance was down here and didn't want to miss being paid," came the response. CHINA - According to a delayed communique issued from Lt. Gen. Joseph W. Stilwell's headquarters, Mitchells of the 14th Air Force bommbed two railroad bridges and rail equipment between Vinh and Phu Dien Chau, French Indo-China. Buildings, railroad trackage, a locomotive and tender were destroyed. The bridges were slightly damaged. Fighter-bombers attacked the Burma Road, north and south of Wanting, on the Yunnan-Burma border. Direct hits on the road will necessitate considerable repairs before it can again be used. All aircraft returned safely to base. NEW YORK - America's cost for the present war is skyrocketing toward the $1,000,000,000 mark, it was announced this week. This figure was reached by the Tax Institute Research Organization and disclosed by Executive Secretary Dr. Mabel L. Walker.